Hi there welcome to the weekend!!! 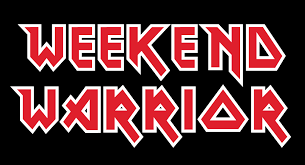 I wanted you to decide today to be a weekend warrior. What I mean by that is be willing and ready to go to BATTLE for your dreams. This weekend takes some steps to make your dream happen. I have a perfect example, I am moving part of my physical office to a home office. I will take this weekend to organize my book collection. I am blessed to have over 1,000 books. I am in the process of becoming a leader in the motivation industry so I must remain on top of my reading of motivational books. If you know what you want, I challenge you to be a WEEKEN WARRIOR!!!!! !